Reproduced from Still Water County News. Approximately 70 pounds of marijuana and US$1,700 in cash was seized during a routine traffic stop on I-90 last week. 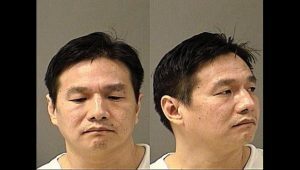 Bing Yuan Liang, 46, and James Yannick Van Sluytman, 32, are each charged with one felony count of possession of dangerous drugs with intent to distribute. Each is being held at the Yellowstone County Detention Facility with bail set at $125,000 a piece. 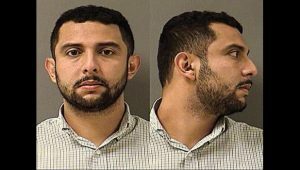 Liang and Van Sluytman were in a rented Toyota Avalon travelling eastbound on I-90 on Jan. 16 at 2 p.m. when a Montana Highway Patrol trooper observed the car was travelling well below the speed limit, according to court documents filed by the Stillwater County Attorney’s Office. When the patrol car passed the Toyota, the Toyota veered onto the shoulder of the road, then pulled into the passing lane without using a signal, according to court documents. The trooper pulled over and allowed the Toyota to pass him, at which point he pulled behind it and activated his top lights. One mile later, at mile marker 408, the Toyota stopped, “swerving on to the shoulder several times before stopping,” according to court documents. Van Sluytman was driving what he said was a rental vehicle and was identified after producing a Guyana passport. The trooper noted seeing oranges and orange peels strewn about the car. The trooper knew from training that oranges are often used to mask the odor of drugs and that rental cars are often used by drug trafficking as they are reliable and prevent law enforcement from forfeiting the trafficker’s personal vehicle, according to court documents. Van Sluytman told the trooper he lived in Guyana and had flown to Seattle to visit Liang. Van Sluytman said the pair were on their way to North Dakota to sell soy sauce and Chinese seasonings and that he planned to fly back to Guyana from North Dakota. Van Sluytman was unable to give the trooper the name of the city in North Dakota that the men were en route to, according to court documents. Liang told police the pair was on the way to Chicago to sell beauty products. Van Sluytman gave the trooper permission to search the car. Found was approximately 70 pounds of suspected marijuana in vacuum sealed packages and US$1,700 in cash.